$x=3$ is a root of polynomial $p(x) = x^2-x-6$. 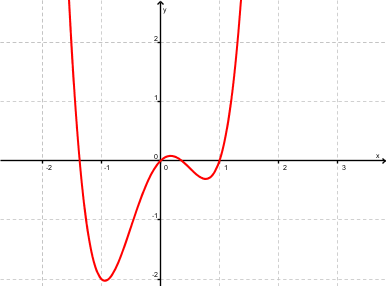 The graph of the polynomial $p(x)$ is given at the right. How many positive roots does $p(x)$ has? One zero of $p(x) = x^2+2x+2$ is $1+i$. Which of the following is another zero? One zero of $p(x) = x^3- 3x^2+ x + 5$ is $2 - i$. Which of the following is another zero? Multiplicity of root $x=1$ in polynomial $p(x)=(x+1)^2$ is 2.
multiplicity of root $x=1$ in polynomial $p(x)=3(x-1)^2(x+1)^3$ is 3. 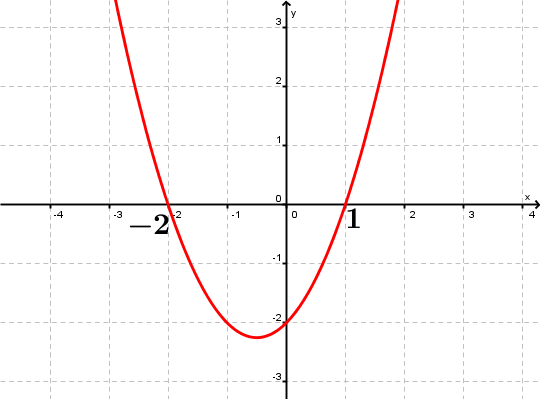 Polynomial $p(x)$, with leading coefficient 6, has a root of multiplicity 7 at $x=0$. The equation of polynomial $p(x)$ is $7x^6$. Find cubic polynomial with real coefficients having roots $x = - 2$ and $x = i$.